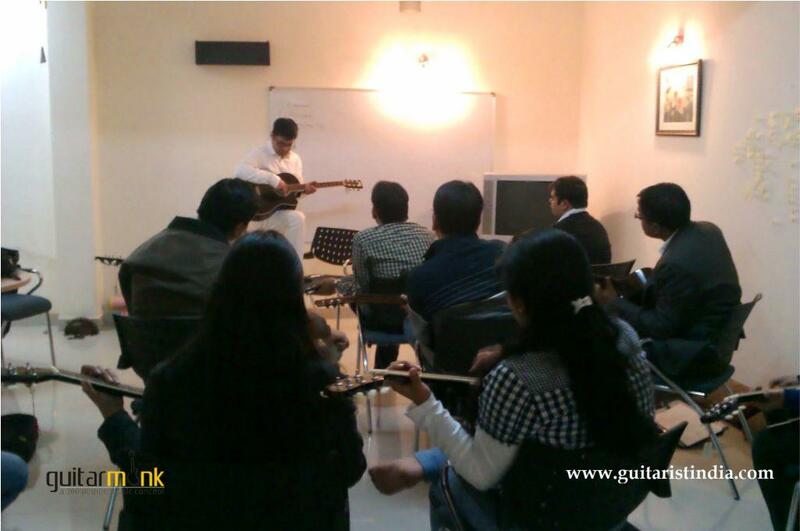 I enjoyed teaching guitar to a new senior group member’s batch. It was awesome to see their great love for guitar and passion to start it at a later age. It proved again that that love for art, hobby or any other creative joy is not relative to age. Even I am attaining 50 years soon Mr, Kapil Sir. 🙂 I should call you sir. Because life at 50’s is experienced. I am a great Guitar fan. I started learning 15 years back. I learned all the scales with exercises. I want to improve my Rhythm as well as Lead and Bass also. While seeing your classroom videos it gives me a great pleasure to join. My difficulty is I am far-flung. Living in Coimbatore, Tamilnadu. I want to fine tune my skills. I studied a little bit of Indian Ragas also. I went through all your videos. Really they are wonderful.I am in a confused state as to choose which course. Going by your structured Guitar syllabus, I think you are doing a great job in the field of Guitar teaching. Even I am attaining 50years soon Mr. Kapil Sir. Anything for absolute beginners or dummies?